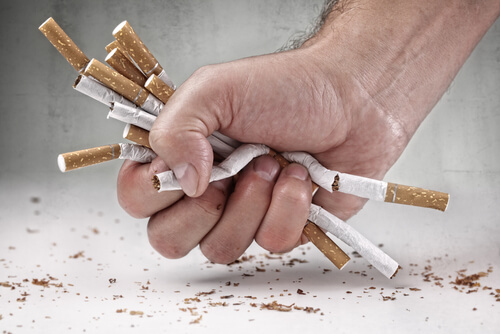 Are you looking to Stop Smoking on or before this year’s No Smoking day (9th March 2016)? Then why not get in touch today to find out how Hypnotherapy can help you. If you book before or on the day itself then you can take advantage of our special offer of three sessions for £249. We’ll even send you a free booklet when you book with advice on how to prepare yourself for becoming a non smoker. We have clinics in Hoddesdon, St Albans and Brookmans park and flexible hours for your convenience. Our aim is to enable you to become a true non smoker as opposed to someone who quits yet spends all their times thinking about the fags. As the British Heart Foundation outline on their No Smoking day Website quitting smoking improves your health, how you feel, how you look and how much money you have in your pocket. Yet still some people seem reluctant to leave smoking behind. Like an abusive relationship where any real benefit has long gone they still don’t seem able to walk away. That’s where hypnosis has the potential to make a difference through the use of positive thoughts and imagery as well as exploring what may be keeping you hanging on to the cigarettes long after you and those around you want you too. To find out more about Stopping Smoking in Hertfordshire email or call today. Please note- as with any form of therapy individual results vary and it is not possible to offer guarantees.